Loftworks Gallery is pleased to announce the opening of“The Circus Show,” an exhibition of photographs by Mike Wilkes, on May 12, 2017 from 5:00pm to 8:00pm. In January, the Ringling Bros. and Barnum & Bailey Circus, best known as the Greatest Show On Earth, informed the world that the circus would come to a close in May. In honor of this 146-year-old tradition, Loftworks Gallery presents, “The Circus Show” beginning May 12th and will be open until their final performance, on Sunday, May 21. 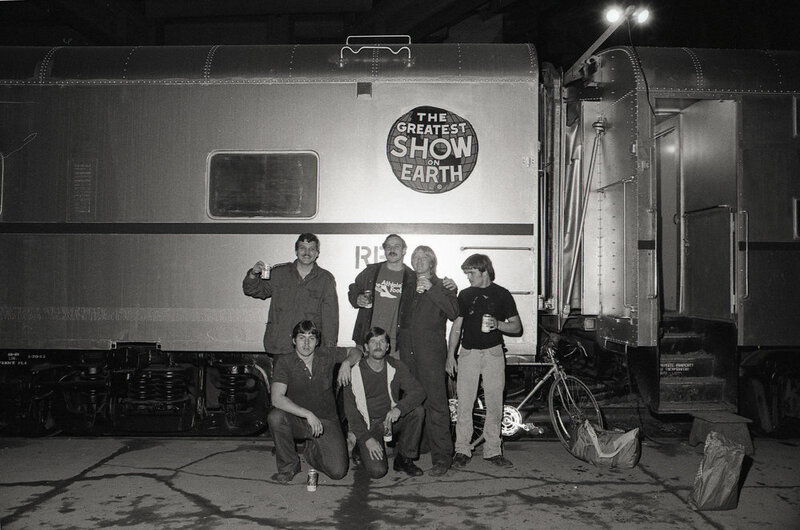 The Circus Show features photographs by Cleveland-based photographer, Mike Wilkes. Wilkes traveled with the circus along with his beat up Nikon F2 and 30 rolls of film in the early 1980’s. He joined the team as a roustabout to experience and document the backstage circus life through photographs. What resulted was a rare retrospective glimpse of life behind the scenes of the circus and its people. “They’re mostly the square pegs that don’t fit in the round holes anywhere else” said Wilkes about his fellow roustabouts. Come celebrate this American institution at the crux of their final show at Loftworks Gallery for an exhibition of these unique photographs. In true circus fashion, there will be something for everyone. Wilkes will share his perspective and memories of time on the road with the circus at the opening reception on Friday, May 12th. 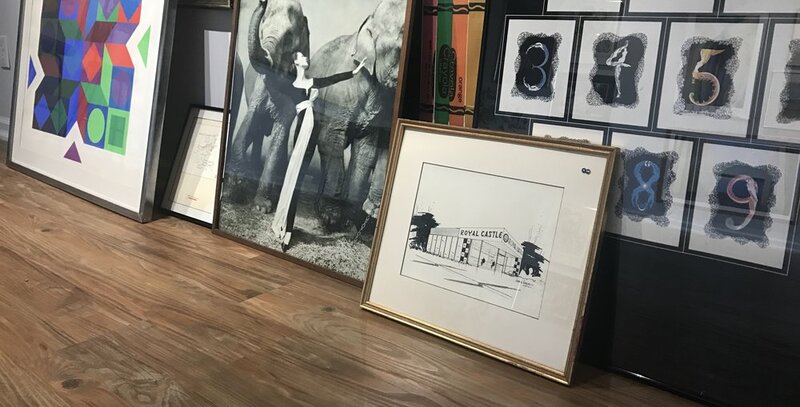 A Cleveland art collector has moved her private collection from the attic to Loftworks Gallery for a pop-up sale of favorite pieces. A selection of eclectic paintings, drawings, and posters mixed with valuable historic pieces will be on sale from March 31st through April 9th at Loftworks Gallery. Please join us for the opening reception on Friday, March 31st from 5pm-8pm. Chicago artist, Zeinab Saab, creates intricate pieces as a prayer-like ritual. “I approach a blank piece of paper with the same reverence as a prayer mat, and prepare my ideas for the first mark. The prayer is unsaid, but speaks aloud on paper,” Saab explains. Originally from Dearborn, Michigan, she received her BFA from Bowling Green State University in 2015 with a focus in printmaking and drawing. Saab is currently working towards her MFA at Northern Illinois University. Her work explores concepts from the Arabic language to create patterns and designs. Please join Zeinab Saab at Loftworks Gallery for an OPENING RECEPTION on February 11, 2017 from 5:00pm to 9:00pm. A selection of Saab’s recent drawings and prints will be on display at Loftworks Gallery from February 11, 2017 through February 20, 2017. Image: From left to right: From the Dirt I, 2015, charcoal on paper 22in. x 30in. Roots, 2015, screen print on paper, 8ft. x 8ft. From the Dirt II, 2015, charcoal on paper 22in. x 30in.